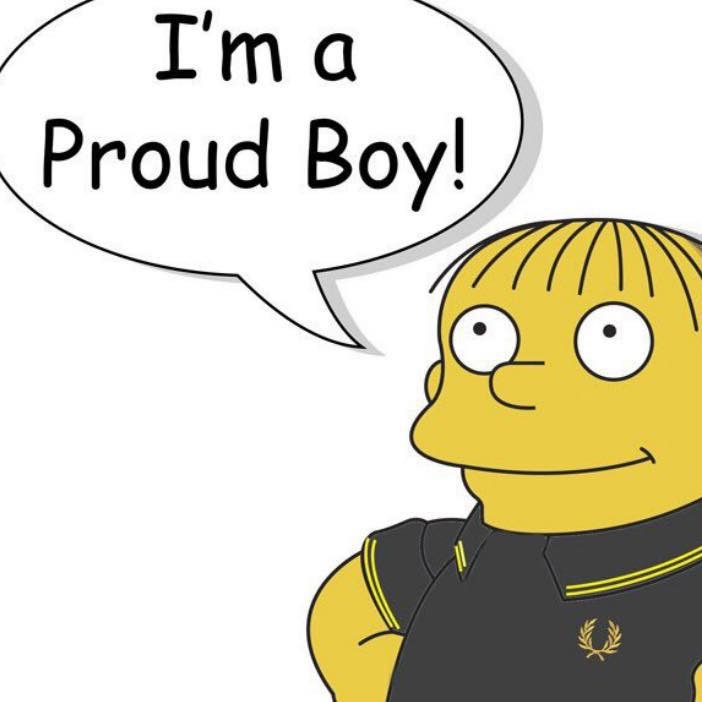 Seattle General Defense Committee (GDC) announces a campaign against a member of the violent far-Right group, the Proud Boys. 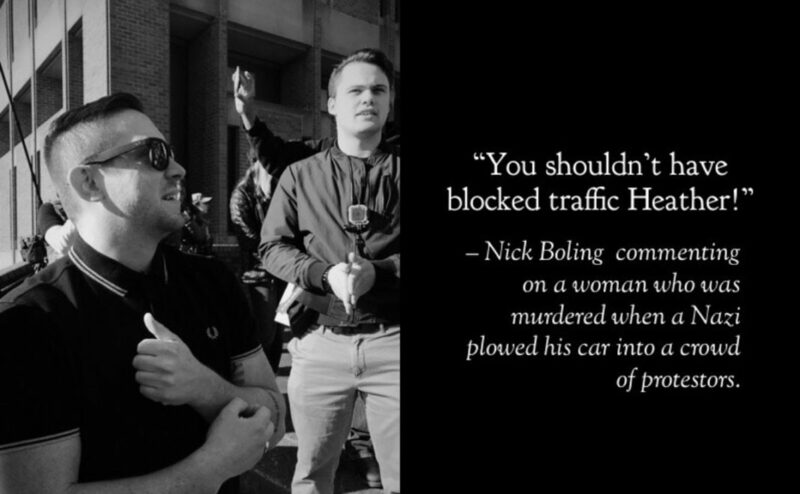 Nick Boling is a violent Proud Boy, who is employed by The Boeing Corporation in Washington State. We are a group of community members, unionists, and activists who believe there is no place for hate in our neighborhoods or workplaces. We have contacted Boeing and asked that they do what is right, and hold themselves accountable to their claim of “providing a work environment for all employees that is welcoming, respectful and engaging”; an environment which would be threatened by such an individual’s presence. They have chosen not to respond. 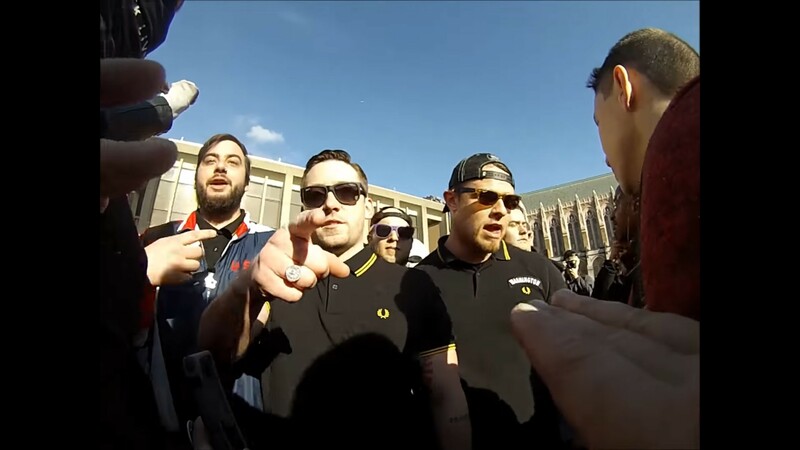 Nick has a long history of violence, both at protests, and in his personal life. 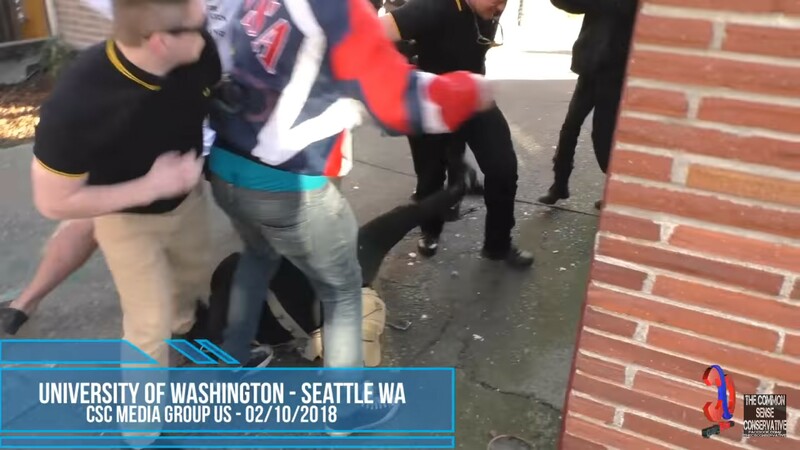 In addition to instigating fights at several demonstrations around the Northwest, he is also currently facing charges for assaulting a woman working as a bartender in Bellingham. There is little doubt that he brings his toxic, misogynistic, and homophobic attitudes to work with him. Many of us are union members, and we also see this as a chance for the labor movement to take a real stand against the rising tide of fascism. We recognize that the roots of the labor movement are intertwined with a notion of “skilled labor”, which was once synonymous with “white, English-speaking men”. If the labor movement is to overcome this history and regain its place as a powerful force for social change, unionists need to take a stand within their own ranks. Legally unions owe fair representation to ALL their members, including the ones that don’t want to work with a violent fascist. Union members working at the Boeing Auburn plant should report any hate speech or inappropriate behavior to both their Boeing supervisors and their union officials. Join us for a festive informational demo (will be posted on the Seattle GDC Facebook account) on Saturday, October 6th at 1pm outside Boeing’s Museum of Flight in Seattle (9404 E Marginal Way S). We will let the community know that “Fascism Won’t Fly.” In the spirit of a spooky October, we encourage attendees to wear their silliest masks. Call Boeing and tell them not to employ a violent fascist who regularly targets members of our community base their gender identity, race, sexual orientation, and political beliefs.